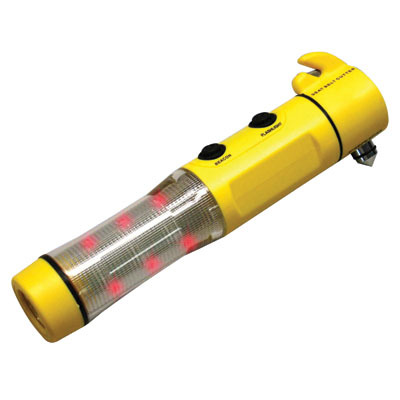 4-in-1 SafetySTICK - CA-140 The 4-in-1 Car Emergency Tool and Flashlight is a safety product that is a must for every driver. In the worst of all emergencies this one item could save your life. Strong magnet on the bottom that attaches to any metal surface. 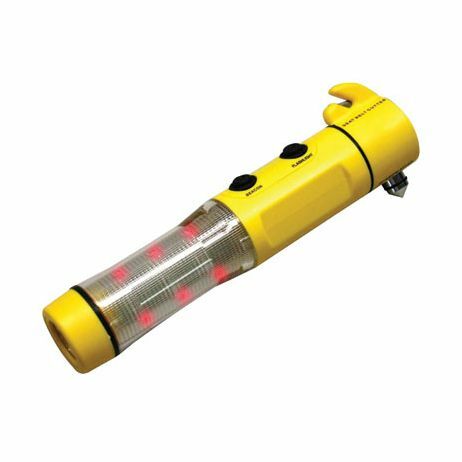 Features: • 9 flashing LED's on the sides • 1 white bulb on the top use as flashlight • Seat belt cutter • Glass break hammer • Water proof • Two AA batteries included The 4-in-1 Safety Stick is a great premium product that can be logo imprinted.